Home / Happiness / Relationships / Family law / The royal baby: what are the grandparents’ rights? The royal baby: what are the grandparents’ rights? Following Meghan and Harry’s recent baby announcement, Meghan’s estranged father has allegedly spoken about his “rights” to see his future grandchild. 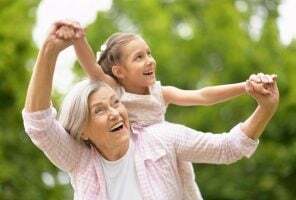 But what are grandparents’ rights legally, when they are denied or dissatisfied with the contact they have with their grandchildren? Having grandchildren can be one of life’s great pleasures as we get older. But sadly, family disputes can disrupt this relationship. Warring parents, polarised loyalties and relocations all play their part. And this can mean grandparents do not see their grandchildren as often as they might like. Grandparents’ rights: what can you do? Mediation and other alternative dispute resolution methods are always the best starting point in any dispute concerning children. These forms of dispute resolution can help avoid costly and emotionally stressful court proceedings. However if an agreement cannot be reached as to the contact grandparents should have with their grandchildren, they are able to apply to the court for a Child Arrangements Order. This sets out the arrangements as to who the child will spend time with, and how often. The order is for the benefit of the child and it is his or her welfare which will ultimately be in the mind of the Judge. You need the court’s permission before making such an application. This is because grandparents do not have an automatic right to contact. The court will consider various factors, including the grandparent’s connection with the child. The good news is that courts do acknowledge that grandparents can play an important role in a child’s life. Generally, it considers a child is not denied contact with a grandparent because of a family dispute. The grandparent would need to apply for a Child Arrangements Order against the parent with whom the child lives. You can make more than one Child Arrangements Order in relation to a child. If there is already a Child Arrangements Order in place that does not preclude a grandparent from seeking another separate one. Making an application to the court can be a very difficult and emotional time for any grandparent. Therefore we always recommend taking expert legal advice to assist with any dispute.